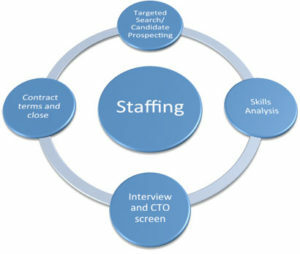 Skylightsys offers an array of services tailored to your staffing needs. We have an excellent track record in filling contract positions. We understand the sense of urgency and specialized skill sets involved with contract recruitment. Please Contact Us to initiate your requisition. We will work with your corporate HR department as well as hiring managers to ensure we find the right fit for your organization. We offer a web based solution to organize all submissions and make circulating resumes easier within the hiring team. Please contact Amy for more information on this product. We offer contract resources for a predetermined amount of time for evaluation for a fulltime position. Need additional resumes for your pipeline? Skylightsys offers additional research or sourcing services for a flat-fee. Let us help you streamline and reduce your recruitment costs by engaging Skylightsys. Our off-shore/on-shore model gives clients the best of both worlds.